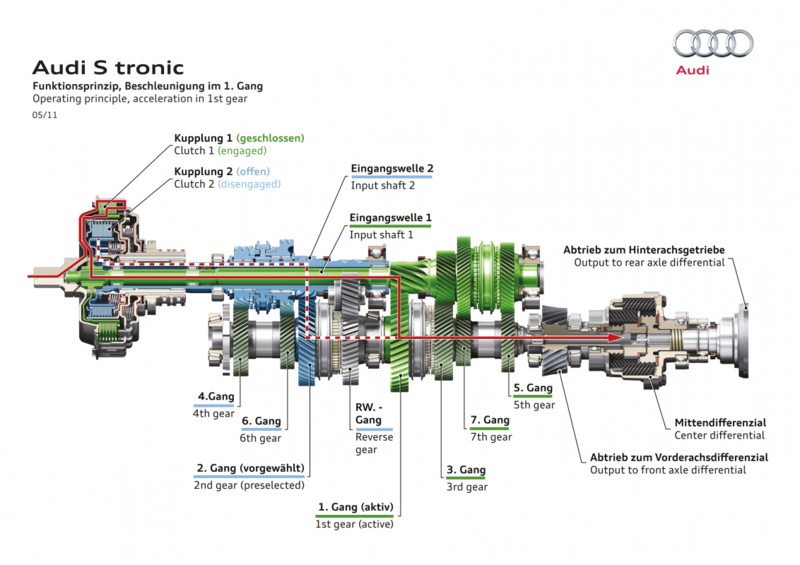 For longitudinally installed engines, Audi has developed a special version of the seven-speed S tronic in which the gear wheels for all gears are situated one behind the other on an output shaft. The three versions for transversely installed engines are configured in a single layout with two output shafts, allowing a compact design. The S tronic for transverse engines is available with six or seven gears. The seven-gear S tronic itself has two versions. Which version is used with which engine depends on the amount of torque to be transmitted. The following is a description of the seven-speed S tronic for longitudinal engines; however, the basic principle is the same for all designs. 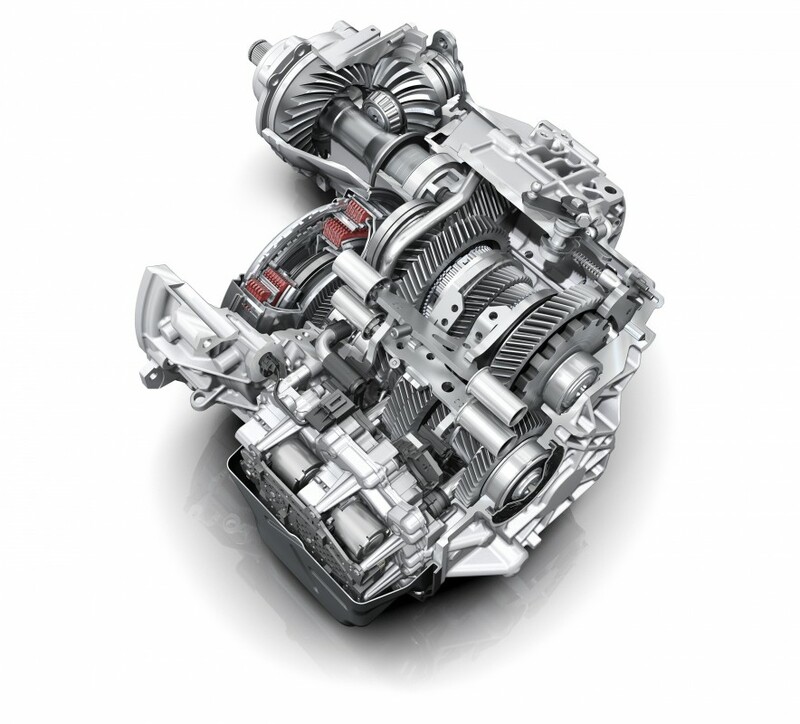 The S tronic comprises two subunits and integrates two multi-plate clutches that control the various gears. The large K1 clutch located on the outside directs the torque via a solid shaft to the gear wheels for the odd-numbered gears 1, 3, 5 and 7. A hollow shaft rotates around the solid shaft. 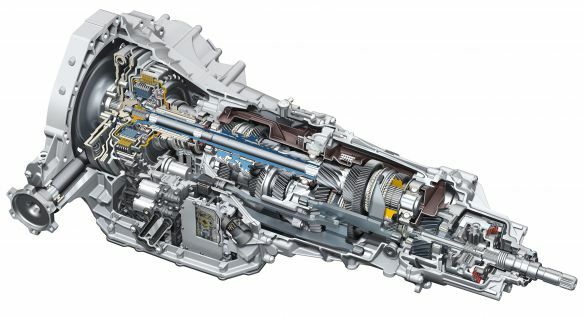 It is connected to the smaller K2 clutch, which is integrated into the inside of its larger sibling, and which controls the gear wheels for the even-numbered gears 2, 4 and 6, as well as the reverse gear. Both transmission structures are continuously active, but only one is connected to the engine at any one time. For example, when the driver accelerates in third gear, the fourth gear is already engaged in the second transmission structure. The shifting process takes place as the clutch changes – K1 opens and K2 closes. Shifting gears takes only a few hundredths of a second and is completed with almost no interruption of traction. It is so smooth, dynamic and comfortable that the driver barely notices it. The mechatronics module, a compact and robust block, comprises the electronics along with the hydraulic control elements. Its control concept allows it to vary the speed of the gear shifting process and to precisely control the necessary power. The multi-plate clutches are managed with extreme precision; the seven-speed S tronic is responsive even in stop-and-go traffic and during maneuvering. The seven-speed S tronic can be used in a number of ways. Automatic mode has two programs: D (Drive) and S (Sport). The driver can take control of the shifting via the selector lever or with the standard paddles behind the steering wheel. Another feature of the high-performance models is the launch control system, which fully exploits the car’s acceleration potential. The sporty seven-speed S tronic for longitudinal engines can handle engine speeds of up to 9,000 rpm. All versions of the S tronic offer a number of strengths: high efficiency, intelligent management and a large gear-ratio spread with very wide top gears. Thus the high-tech transmission delivers lower fuel consumption in many cases compared with a manual gearbox. The ultra-compact seven-speed S tronic in the A1* and A3 weighs only about 70 kilograms (154.32 lb). Their two dry clutches do not need a separate oil supply, adding further to their efficiency. All versions of the S tronic can be combined with the Audi start-stop system.